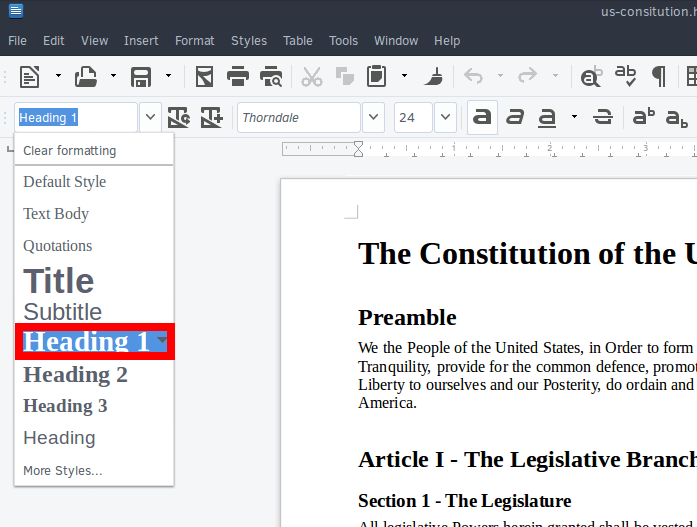 Brief: This beginner’s guide shows you how to quickly create an ebook with Calibre tool in Linux. Ebooks have been growing by leaps and bounds in popularity since Amazon started selling them several years ago. The good news is that they are very easy to create with Free and Open Source tools. 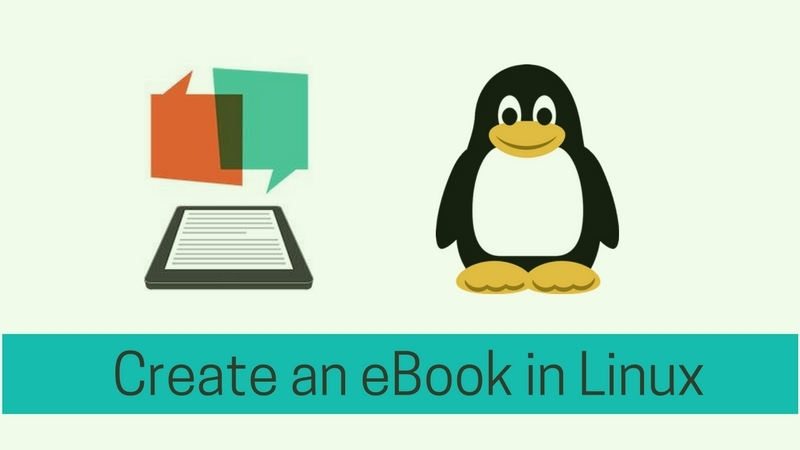 In this tutorial, I’ll show you how to create an eBook in Linux. To create an ebook you’ll need two pieces of software: a word processor (I’ll be using LibreOffice, of course) and Calibre. 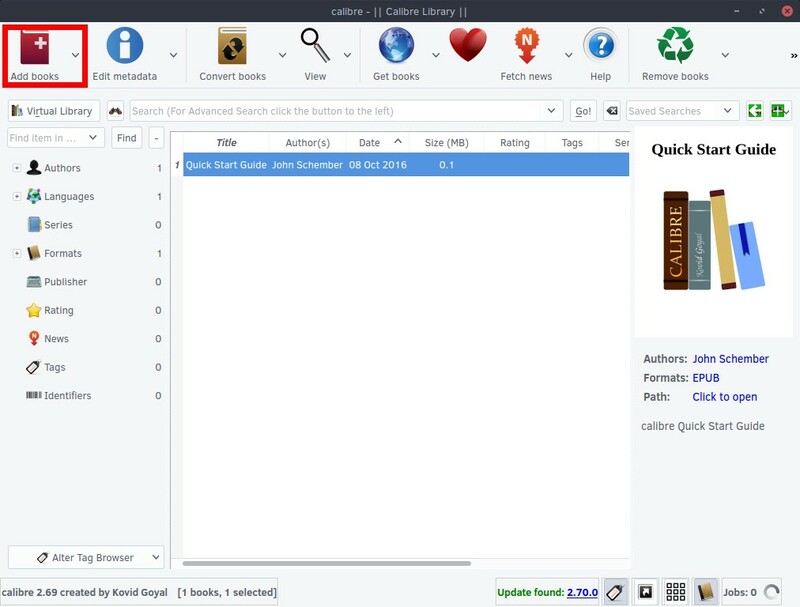 Calibre is a great ebook reader and library program. 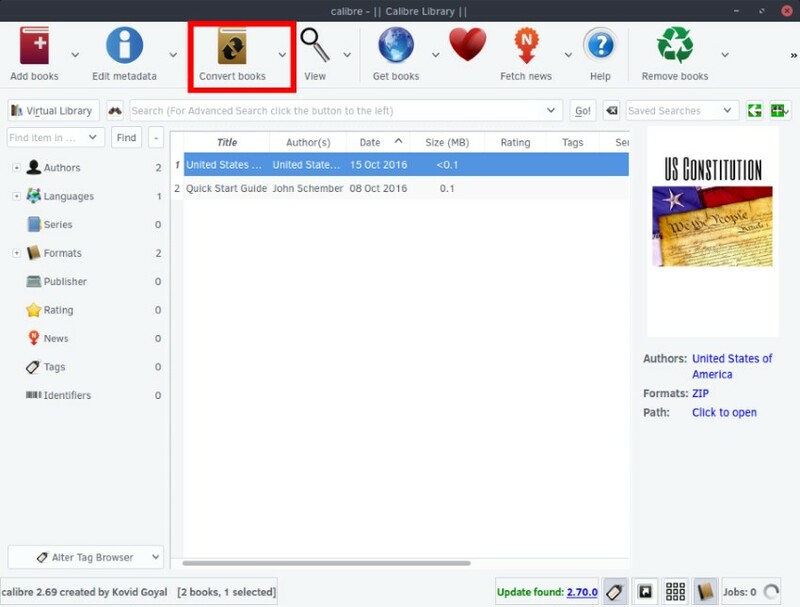 You can use it to open ePub files in Linux or to manage your collection of eBooks. Besides this software, you also need an ebook cover (1410×2250) and your manuscript. First, you need to open your manuscript with your word processor. 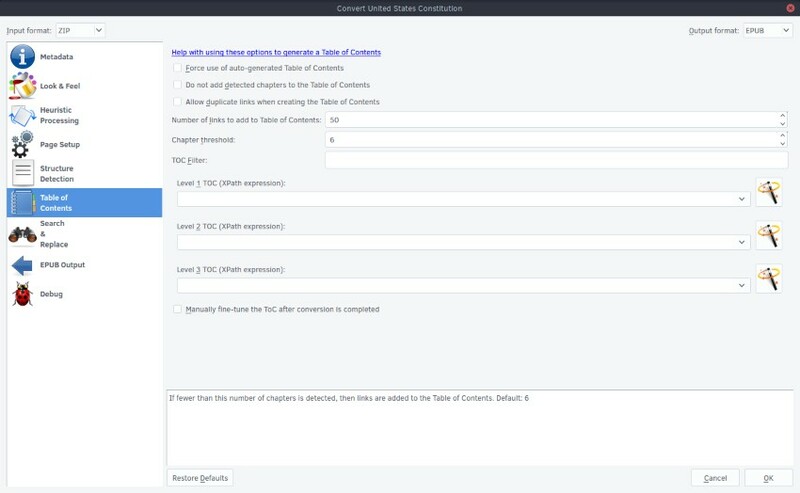 Calibre can automatically create a table of contents for you. In order to do so, you need to set the chapter titles into your manuscript to Heading 1. Just highlight the chapter titles and selection “Heading 1” from the paragraph style drop down box. If you plan to have sub-chapters and want them to be added to the TOC, then make all those titles Heading 2. Now, save your document as an HTML file. In Calibre, click the “Add books” button. After the dialog box appears, you can browse to where your HTML file is located and add it to the program. Once the new HTML file is added to the Calibre library, select the new file and click the “Edit metadata” button. From here you can add the following information: Title, Author, cover image, description and more. When you’re done, click “OK”. Now click the “Convert books” button. In the new windows, there are quite a few options available, but you don’t need to use them all. From the top right of the new screen, you select epub. Calibre also gives your the option to create a mobi file, but I found that those files didn’t always work the way I wanted them to. Click the “Look & Feel” tab from the left side of the new dialog box. Now, select the “Remove spacing between paragraphs”. Next, we will create the table of contents. If don’t plan to use a table of contents in your book, you skip this step. Select the Table of Contents tab. From there, click on the select the wand icon to the right of “Level 1 TOC (XPath expression)”. In the new window, select “h1” from the drop down menu under “Match HTML tags with tag name”. Click “OK” to close the window. 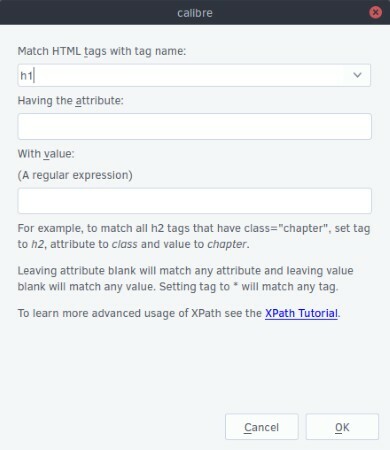 If you set up sub-chapters, set the “Level 2 TOC (XPath expression)” to h2. 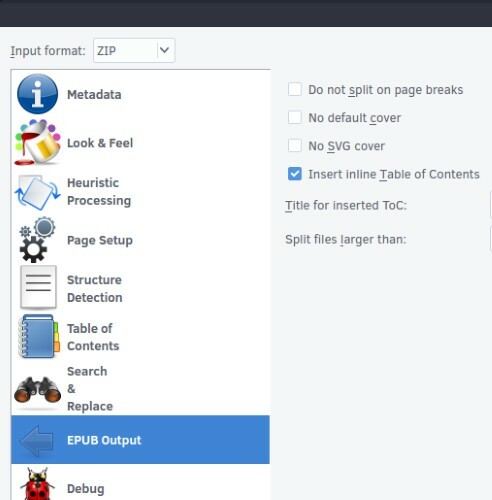 Before we start the conversion, select EPUB Output. On the new page, select the “Insert inline Table of Contents” option. Now all you have to do is click “OK” to start the conversion process. Unless you have a huge file, the conversion should finish fairly quickly. 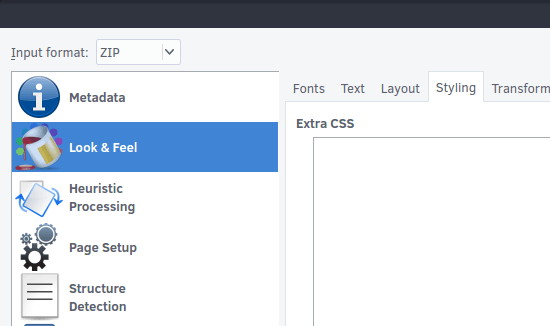 For the more advanced users who know how to write CSS, Calibre gives your the option to add CSS styling to your text. Just go to the “Look & Feel” section and select the styling tab. If you try to do this with mobi, it won’t accept all of the styling for some reason. Well, that was fairly easy, isn’t it? 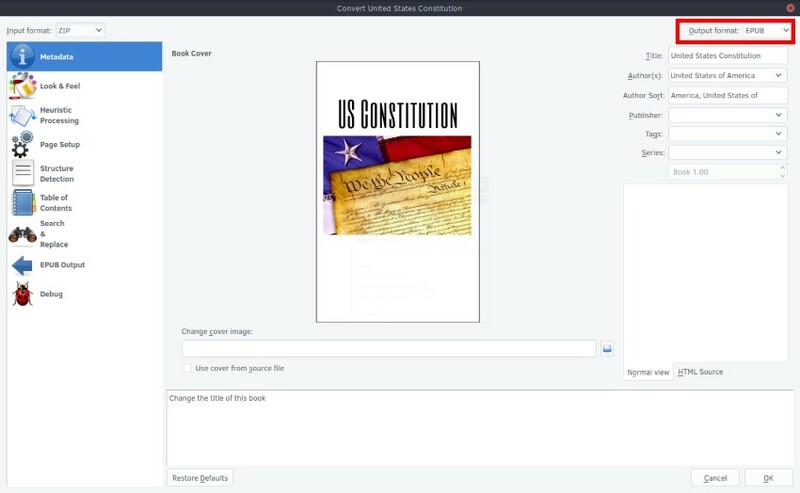 I hope this tutorial helped you to create eBooks in Linux. Let me know in the comments if you have any questions. If you found this article interesting, please take a minute to share it on social media. I’d like to say that using the plugin Hyphenate this! is a must for a smooth reading. Managing to use it and correctly setting it up may be a little hard, but it will be worth it for the readers. Great guide. That seems like very cool software. Eventually I want to try an ebook as well. I love the fact that I can use css too.